Rob’s Automotive Repair, we provide superior fleet service and maintenance to Clackamas, OR, and surrounding areas. Our ASE certified technicians are experienced working with fleet accounts and understand the needs of fleet vehicles. Our experts work to help your business maintain reliability and to maximize the overall performance of your vehicles. Our Clackamas fleet management shop handles repairs and maintenance for fleets, commercial vehicles, and trucks. Our goal is to create a lasting partnership with your business to help you be the reliable fleet service that your customers need. A broken down fleet vehicle ultimately means lost business and revenue. We understand that as a fleet manager, is it important to keep your vehicles running in top condition at all times in order to avoid any unforeseen delays in your business. At Rob’s Automotive Repair in Clackamas, OR, we have the latest, state-of-the-art diagnostic equipment and tools to accurately diagnose and repair your vehicles. Whether your fleet vehicles need oil changes, A/C repairs, transmission services, engine repairs, and more - we are here to help. 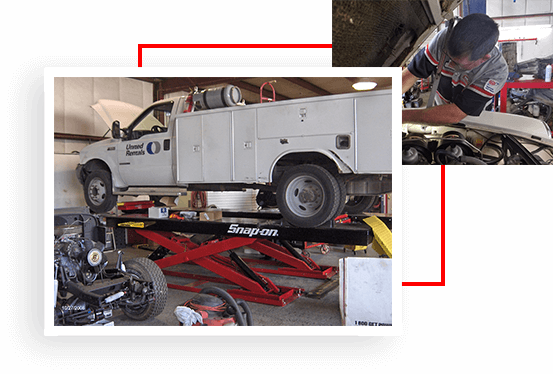 We have the ability to lift the heavy Ford F450/550, GM/Dodge 4500/5500 Boom trucks or trucks with heavy service bodies on our four post drive on 18,000 lb capacity lift. Our Clackamas auto repair shop also specializes in Diesel Pickup Services for Cummins, Powerstroke, Duramax, and more. Keeping your diesel pickup, fleet vehicle in top condition is a priority and will help avoid costly repairs later down the road. If you own a diesel engine vehicle, you understand that your vehicle requires experienced technicians and the highest quality tools for both routine maintenance and major repairs on your vehicle. Our ASE certified diesel technicians are trained to perform both regular maintenance and major repairs on diesel pickups. 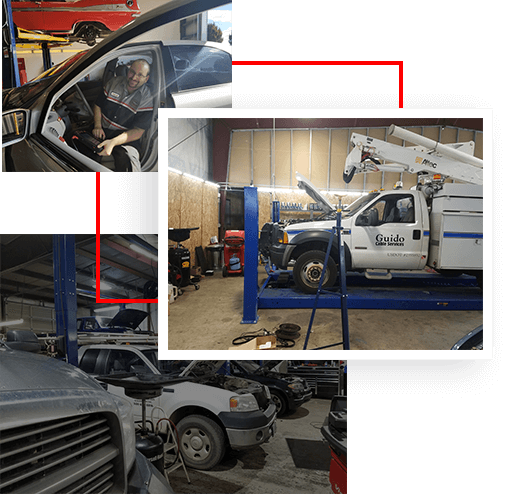 At Rob’s Automotive Repair in Clackamas, OR, we combine excellent customer service with professional auto repair to provide the best possible automotive service experience. We are a NAPA Auto Care Center that offers a 36,000 mile/36 month warranty on our services and repairs. Our shop employs top ASE certified technicians that are regularly trained and experienced working with all makes and models of vehicles. We look forward to servicing you and your vehicle soon! We are also an ARI Fleet Management Vendor so if you use ARI we are ready to go..